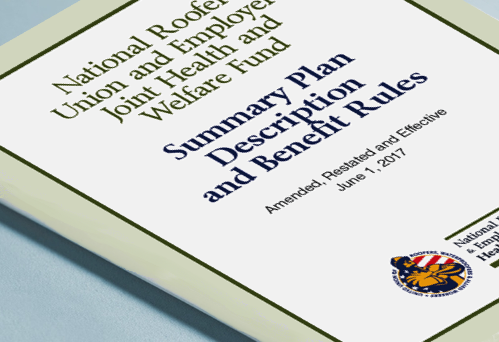 The SPD summarizes the key provisions of the Plan and includes important information about your benefits from the Plan. The SPD was most recently restated effective June 1, 2017. 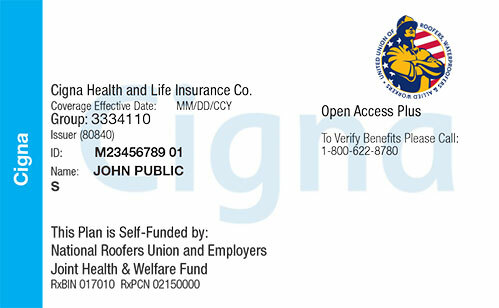 New insurance cards were issued in conjunction with the transition to the new administration office, Wilson-McShane Corporation. Please remember to present your new insurance National Roofers Union and Employers Joint Health & Welfare Fund insurance card when visiting a clinic or hospital any time after January 1, 2017 to assure that the billing is done correctly. Using your old insurance cards will result in benefits not being processed and therefore no insurance payment. If you have misplaced your new insurance card(s) please contact Wilson-McShane Corporation at (800) 622-8780 and request current versions from the claims department.